Join Historian Darin Waters as he discusses the idea that something can be gained by a curiousness that prompts us to look back in history. Professor Darin Waters talks about the relationships he has had with key figures throughout his life that have helped shape his perspectives, and create a habit of being continuously curious. Darin J. 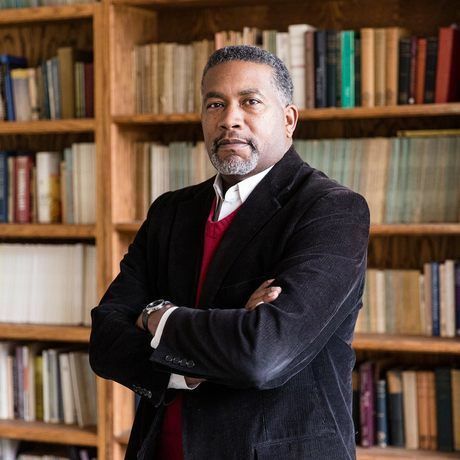 Waters is an Assistant Professor of History and the Special Assistant to the Chancellor for Outreach and Engagement at UNC Asheville where he teaches courses in American history, North Carolina history, Appalachian history, African American and Latin American history. He also specializes in the history of race relations in both the United States and Latin America. Waters is the co-host of The Waters and Harvey Show on Blue Ridge Public Radio. He currently serves as a member of The North Carolina Historic Markers Commission, the board of the National Blue Ridge Heritage Area, the board of the Thomas Wolfe Memorial of Historic Asheville, and the North Carolina Civil War History Center. Waters received his doctorate from The University of North Carolina at Chapel Hill. Find out more about his work at darinwaters.com.